Salvatore "Totò" Riina (born 16 November 1930) is a member of the Sicilian Mafia who became the most powerful member of the criminal organization in the early 1980s. Fellow mobsters nicknamed him The Beast (La Belva) due to his violent nature, or sometimes The Short One (U curtu) due to his diminutive stature. During his lifelong career in crime he is believed to have personally killed around forty people and to have ordered the deaths of several hundreds more. During the 1980s and early 1990s Riina and his Mafia faction, the Corleonesi, waged a ruthless campaign of violence against both rival mobsters and the state, which culminated in the assassination of the antimafia prosecutors Giovanni Falcone and Paolo Borsellino. 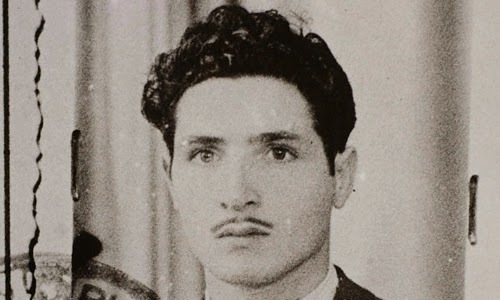 This caused widespread public revulsion against the Mafia and led to a major crackdown by the authorities, resulting in the capture and imprisonment of Riina and many of his associates. Riina was born and raised in a poverty stricken countryside house in Corleone. When he was young, his family found an unexploded American bomb dating back to World War II: his father Giovanni attempted to open it to sell the powder to hunters, but in doing so he caused it to explode, killing himself and Riina's seven-year-old brother Francesco. Afterwards, Salvatore "Totò" Riina became the effective male head of the family. He joined the local Mafia clan at the age of nineteen by committing a murder on their behalf. The following year he killed a man during an argument and served six years in prison for manslaughter. 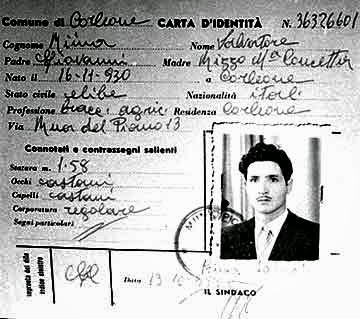 Salvatore Riina's ID Card from 1955. His height is listed as 1.58 m (5-ft-2), hence his nickname The Short One. The head of the Mafia Family in Corleone was Michele Navarra until 1958, when he was shot to death on the orders of Luciano Leggio, a ruthless 33-year-old Mafioso, who subsequently became the new boss. Together with Totò Riina and Bernardo Provenzano (who were two of the gunmen in Navarra's slaying), Leggio began to increase the power of the Corleonesi. Because they hailed from a relatively small town, the Corleonesi were not a major factor in the Sicilian Mafia in the 1950s, compared to the major Families based in the capital, Palermo. In an underestimation of the mobsters from Corleone, the Palermo bosses often referred to the Corleonesi as i viddani – "the peasants". In the early 1960s, Leggio, Riina and Provenzano, who had spent the last few years hunting down and killing dozens of Navarra's surviving supporters, were forced to go into hiding due to arrest warrants. Riina and Leggio were arrested and tried in 1969 for murders carried out earlier that decade. They were acquitted due to intimidation of the jurors and witnesses. Riina went into hiding later that year after he was indicted on a further murder charge and was to remain a fugitive for the next twenty-three years. In 1974 Leggio was arrested and imprisoned for the murder of Navarra sixteen years earlier. Although Leggio retained some influence from behind bars, Riina was now the effective head of the Corleonesi. He also had close relations with the 'Ndrangheta, the mafia-type association in Calabria. His "compare d’anello" (a kind of best man and trusted friend) at his wedding in 1974 was Domenico Tripodo, a powerful boss and prolific cigarette smuggler. During the 1970s Sicily became an important location in the international heroin trade, especially with regards to the refining and exporting of the narcotic. The profits to be had from heroin were vast and exceeded those of the traditional activities of extortion and loan-sharking. Totò Riina wanted to take control of the trade and was to do so by planning a war against the rival Mafia Families. During the late 1970s, Riina orchestrated the murders of a number of high-profile public officials, such as judges, prosecutors and members of the Carabinieri. As well as intimidating the state, these assassinations also helped to frame the Corleonesi's rivals. The Godfathers of many Mafia Families were often highly visible in their communities, rubbing shoulders with politicians and mayors, protecting themselves with bribes rather than violence. In contrast, Riina, Provenzano and other Corleonesi were fugitives, always in hiding and rarely seen by other mobsters, let alone the public. Consequently, when a policeman or judge was killed it was the more visible Mafia Families who were the subject of official investigations, especially as these assassinations were deliberately carried out in the territory (or 'turf') of the Corleonesi's rivals rather than anywhere near the town of Corleone itself. The Corleonesi's primary rivals were Stefano Bontade, Salvatore Inzerillo and Gaetano Badalamenti, bosses of various powerful Palermo Mafia Families. Between 1981 and 1983, Bontade and Inzerillo, together with many associates and members of both their Mafia and blood families, were killed. There were up to a thousand killings during this time period as Riina and the Corleonesi, together with their allies, wiped out their rivals. 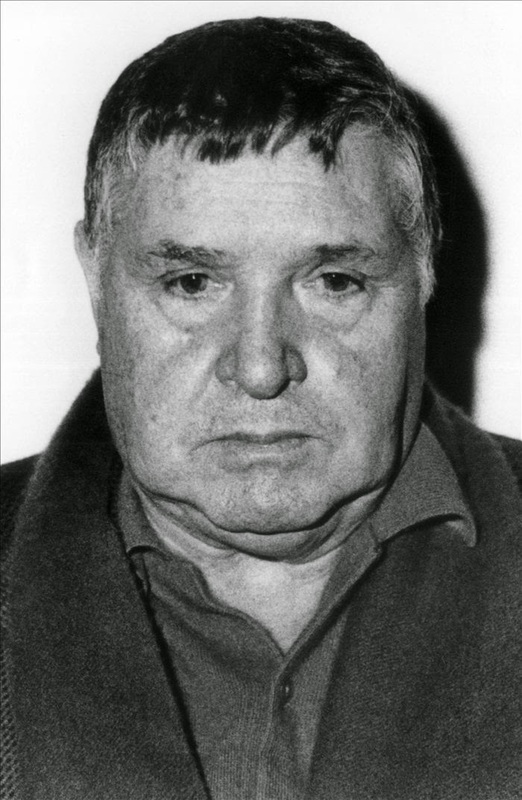 By 1983, the Corleonesi were effectively ruling the Mafia, and over the next few years Riina increased his influence by eliminating the Corleonesi's allies, such as Filippo Marchese, Giuseppe Greco and Rosario Riccobono. While that helped them become the most powerful clan in Sicily, the Corleonesi's tactics backfired to some degree when, in 1983, a convicted double-killer named Tommaso Buscetta became the first Sicilian Mafioso to become an informant (to repent; become a pentito), and cooperate with the authorities. Buscetta was from a losing family in the Mafia war and had lost several relatives and many friends to Riina's hitmen; becoming an informant was a way both to save himself and get his revenge on Riina. Buscetta provided a great deal of information to Judge Giovanni Falcone and he testified at the Maxi Trial in the mid-1980s that saw hundreds of Mafiosi imprisoned. Riina picked up another life sentence for murder at the Maxi Trial, but it was another in absentia sentence as he was still a fugitive. In 1989 Riina arranged the murders of a number of his allies, including Ciaculli boss Vincenzo Puccio and Puccio's two brothers. Apparently Vincenzo Puccio had been planning to overthrow Riina as head of the Sicilian Mafia, but the Corleonesi boss had found out about the plot.